And so, the giant mystical cube known to its admirers as Kevin has returned to his own world. 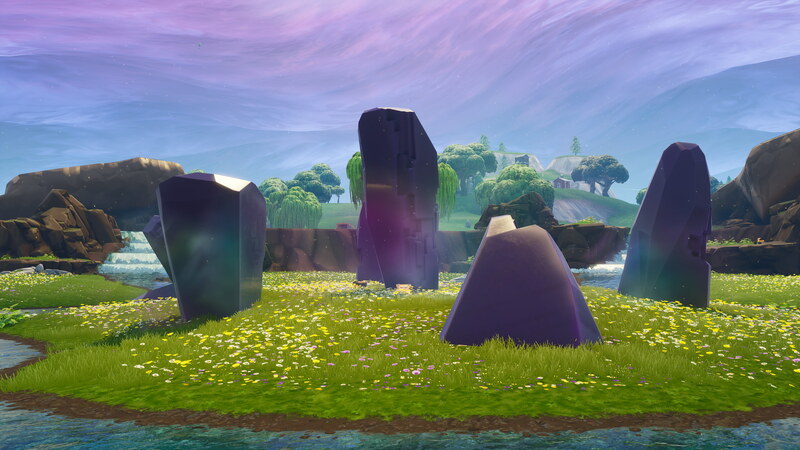 After weeks of being at the heart of mysterious goings-on in Fortnite Battle Royale, from corrupting the ground with runes to a zombie infestation, our purple pal exploded in a one-off live in-game event. 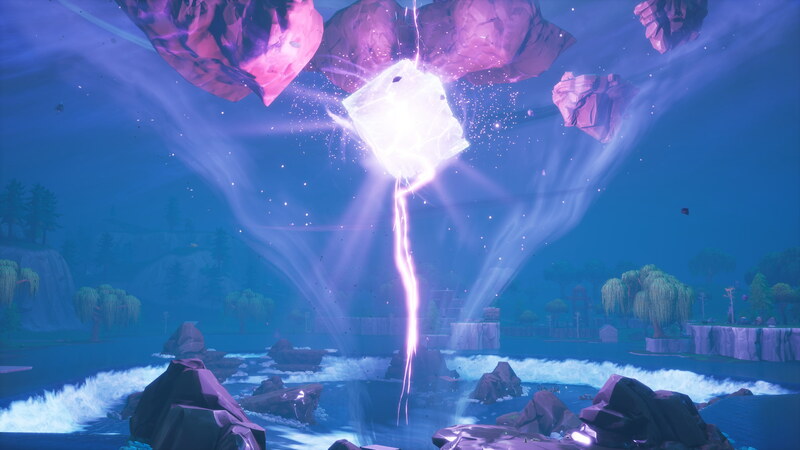 Players who were in-game at 6pm today could see the cube charge up before exploding into fragments, then in a cutscene were whisked away to another dimension or multiverse nexus or summat. 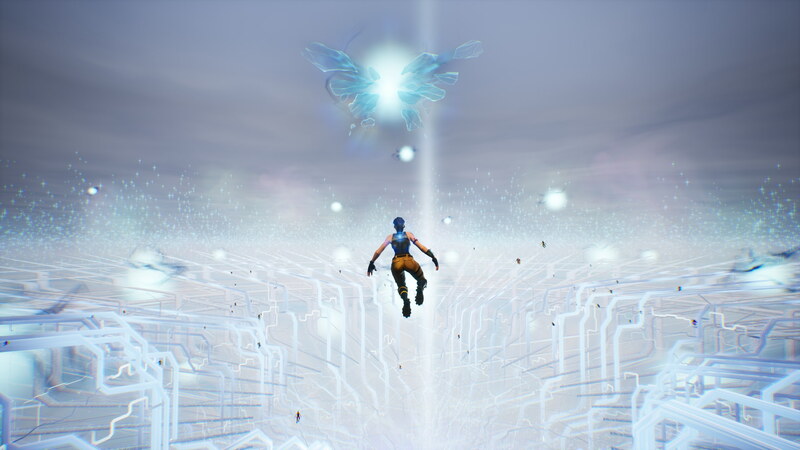 It seems our Kev hatched into a beautiful rift butterfly? Bless him. In his wake, part of the map has been reshaped again. It was a neat-o event for a game about 100 people killing each other. After the cube exploded, we were all warped to this weird interdimensional space where we could float around. After a while of drifting, crystalline reality shards drew together and formed a big fancy butterfly, which flew around then landed on our fingers before vanishing in a flash. Nice to say goodbye. Suddenly we were back on that murderous island, dropping down above a new spot which emerged with a golden aura and serene music playing. Loot Lake, which the cube previously kinda broke by opening a swirling vortex that sent a house into the sky, has reformed as Leaky Lake. Fragments of the cube survive on an island in a crater at its, surrounded by flowers. What a serene ending for an object which previously had left corruption in its waking. Game-wise, hey, there are chests amongst his scattered guts in the crater. And yes, people resumed the murder as soon as they landed. It was nice to have a moment’s peace. A shard of Kevin also lives on as a cosmetic item to wear on your back, named Lil’ Kev. The only way to get him is by completing three special challenges: play 15 matches; gain 5000 XP; outlive 500 opponents. Do all that by November 11th and Lil’ Kev will live on with you forever. Fortnite Season 6 is expected to end on December 5th, or soon after. I’m sure Epic have more mysteries and surprises to come, given how popular these events are. I don’t even really like Fortnite outside the 50v50 mode but I do stop by to check all these out.